I am excited to share that I have a guest post up at Student Affairs First Years. This is a great blog for and about being a first year professional in the Student Affairs field. They have an all-star cast of writers contributing every week, so if you're interested in Student Affairs it's a great site to check out. My submission is about interviewing for positions coming right out of grad school - something a lot of new professionals are doing right now. My experiences interviewing out of grad school were.. not so great. So my post is about surviving those rough months and some of the things I learned about myself and our field. In middle school I made the mistake (?) of telling someone that I enjoyed frogs. It was a minor fascination, but the mention of it led to years of frog-related gifts and mentions by family and friends. Which was ok - frogs are cute after all, and definitely worked with my aesthetic at the time. But it did get to be a bit much eventually. More importantly than that, though, I love artists' renditions of elephants. They always do such a great job of capturing the details, textures and personalities of the animals. I think it started with some ceramic elephant side tables that my grandmother had and my mom inherited. They are so cool - I like to sit on the table part with my feet up on the head.. When we lived in Miami I discovered local artist Valentina Ramos and fell in intense like of her style. She had an original of her elephant piece and I snatched it up to put in our home. He currently sits on the mantle above our fireplace and is quite happy there, I think! Anyone I've hung around with for a while can tell you that I have some cuhh-RAZY dreams. (I think that most people have crazy dreams, it's just that there are few of us who are lucky enough to remember them) In fact, we were playing some 'see how well you know your friends' game once and I got voted hands-down as the person whose dreams everyone would like to be able to sit and watch. My dreams are often influenced by things that I see during the day (like the one the other night where I was swimming under an ice shelf in Greenland after watching a documentary about the topic) or sometimes even things that happen during the night (a flash of headlights turns into aliens landing outside our res hall and coming into my apartment) and sometimes nothing to do with anything (lemon flavored tomatoes anyone?). I have always enjoyed seeing what my brain comes up with in an effort to process the world, and have off and on kept journals to document the dreams I remember upon waking. I have at times written stories about my dreams and other times a dream can really give me pause to think about things during the day. Some people like to try to figure out what the dreams mean, but I haven't really tended toward that. I prefer to look at them as workings of my creative mind that is making connections between things that can seem quite disparate in the waking world. As we know I am a bit of an introvert, so like to spend time thinking about how things in my world work. It is where I get much of my energy so being able to retreat into my active dreamscape every night is enjoyable and productive. Dreaming definitely gets to make it into my little list of things at the beginning of the alphabet that I like. As anyone who has been reading for a while knows, around here we love good food. Not just for Thanksgiving, but every day. Our kitchen is practically a member of the family and we love to spend time with it and welcome new kitchen artifacts with love. But for me it's not just about the food that happens, it's about the process. I love to create things and cooking is a way to not only have a creative outlet, but is nourishing to our bodies and souls. There is something about tweaking a recipe or changing it altogether that is extremely satisfying. To take a recipe and pour in some tenderness and personalization to create something delicious and health-giving is one of the best ways I know to show love. Also the inner grandmother in me loves to feed people! One of the reasons that working in a college is great - students always appreciate free food, so when I have a group of students to work with they can expect treats once in a while. Actually, tomorrow I am feeding my desk staff some homemade mochi ice cream balls. Yummm.. 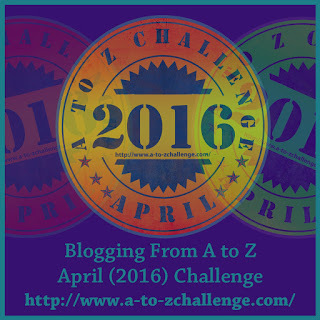 This month's, of course, is in honor of my April A-Z project. 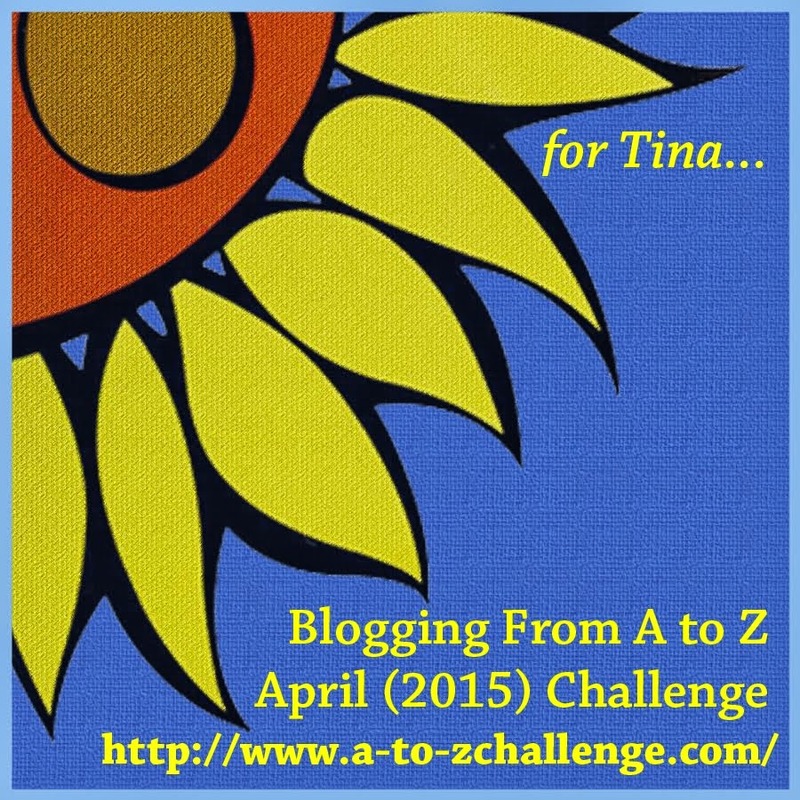 This month I have decided to participate in the April A to Z Blogging Challenge. 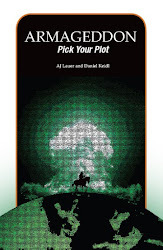 I've talked about it a bit, but.. Somewhere along the way I decided that I wanted to spend some time challenging my writing ability, in a variety of ways. As I mentioned in January, I'm not too big on New Year Resolutions - rather I prefer to set myself goals as I go through life, to keep myself interested. It's hard to say in January what I will need to be working on mid-way through the year, much less by December. 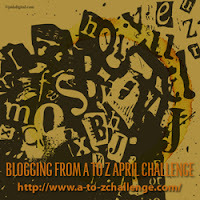 If you click on the A-Z link to the right it will take you to the list of the other 1,000+ people who are participating in the challenge. Go visit and maybe you will find some new favorites!